The UltraHD is a compact and easy to use digital camcorder that should please most any user who's looking for digital video camera that will fit into a small pocket or purse. Just don't expect this little gem to out perform your larger camcorders. Read more in our Full Conclusion. 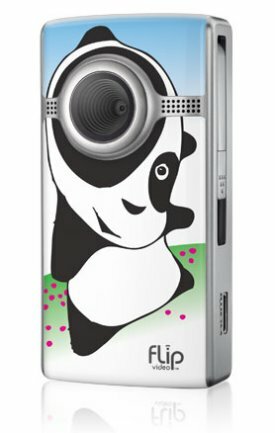 For those who want a HD video solution that can fit into your pocket, Flip Video (Cisco) offers various compact HD digital camcorder options like the UltraHD. This unit is offered in both a 4GB and 8GB model, each with a slightly different list of features. This High Definition pocket video camera sports some nice features packed into a frame that's about the size of your typical smart phone. We tested the UltraHD 8GB (2 hour) model, which offers 720p video at 60fps, a fixed lens with image stabilization, and a 2.0-inch LCD screen. The UltraHD 8GB is offered in plain Black or White for those who like to keep things simple, or for you style savvy folks, you can create a creative design using your own photos, their pre-loaded images or Flip's "Pattern Generator". The Flip UltraHD is available now with a suggested retail price of $199 US for the 8GB model as tested, or $149 US for the 4GB model.